Michelle Madrigal gave birth to her "sweet little angel" Anika Austin last October 20, 2017. Thanks to her fiancé Troy Woolfolk, Michelle Madrigal easily found the motivation to work out after her pregnancy. 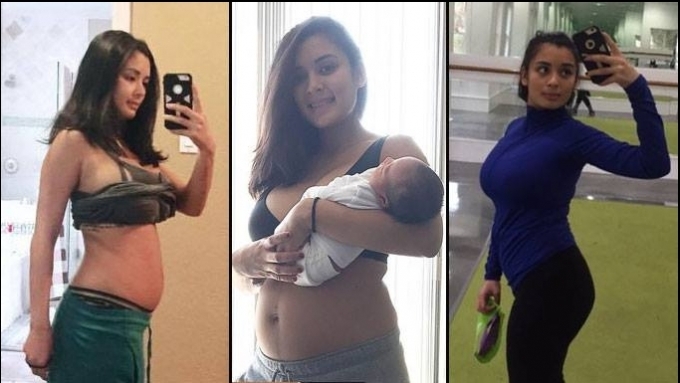 Four weeks since she gave birth to Anika Austin last October 20, 2017, she has started her postpartum workout that includes crunches, push-ups, squats, and running. The first-time mom emphasized though that she’s "not in a rush to lose the weight." She just feels "lucky enough to be able to exercise as early as now." And to the netizens who say it's too soon, she said, “Some women like to shop, go to the salon or spa… this is How I do my 'ME TIME' so I hope y’all respect that. “Of course, I wouldn’t push myself if I feel tired or weak. She underlined, “I still look 2 months preggo but I am a work in progress. 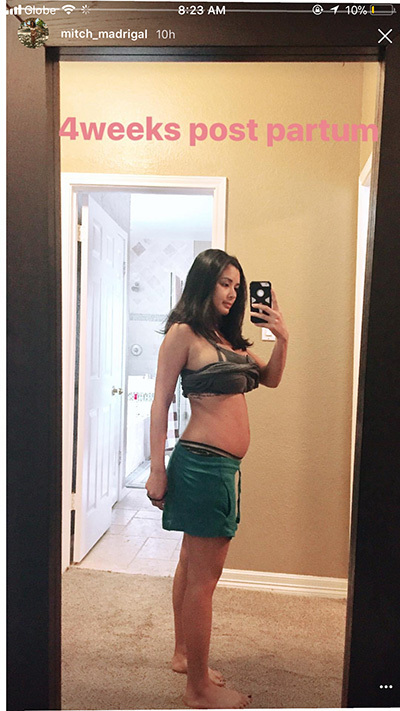 “I am in no rush to lose it right away because it took 9 months to gain all these baby fats! Some of her followers expressed concern about possibly having “binat,” which happens after a person does strenuous activities before her/she fully recovers. She added, “it really depends on your body. “Listen to it and of course stop and rest whenever your body tells you to. In another comment, she wrote, “Although it seems like I am lifting weights, I am only doing the light ones because my body is starting all over again. Aside from working out, Michelle also breastfeeds Baby Anika.